The New WINE GROWLER is Here! 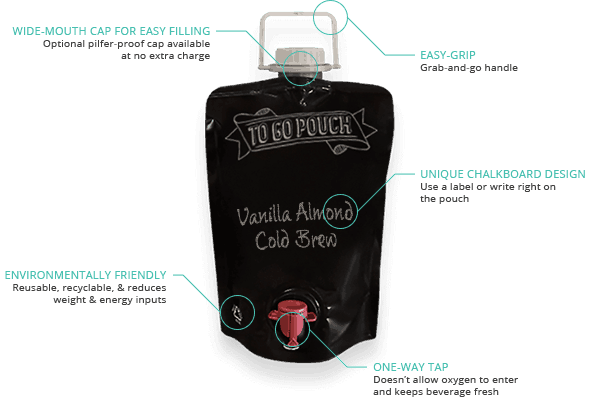 Versatile—ideal for wine, spirits, slushies, cold brew coffee, and more! Reusable—just drink, clean, refill and repeat! View and purchase the AstroPaq Flexible Wine Growler here, or contact us to learn more. This entry was posted on Tuesday, April 4th, 2017 at 5:09 pm and is filed under News. You can follow any responses to this entry through the RSS 2.0 feed. Both comments and pings are currently closed.